Microsoft launched a cloud-based blockchain platform on Tuesday with Brooklyn-based start-up ConsensYs, which will allow financial institutions to experiment cheaply and easily with the technology underpinning bitcoin. The blockchain works as a huge, decentralized ledger of every bitcoin transaction, which is verified and shared by a global computer network and therefore is virtually tamper-proof. The financial industry is increasingly investing in the technology, betting it will reduce costs and increase efficiency. Blockchain technology is not limited to bitcoin — it can be used to secure and validate the exchange of any data. And other companies are now building their own blockchains that provide additional features to the original bitcoin one. One such company is Ethereum, which has built a fully programmable blockchain. Technology giant Microsoft is using it for the blockchain platform launched on Tuesday. The platform will be available to banks and insurance companies that are already using Microsoft’s cloud-based Azure platform. 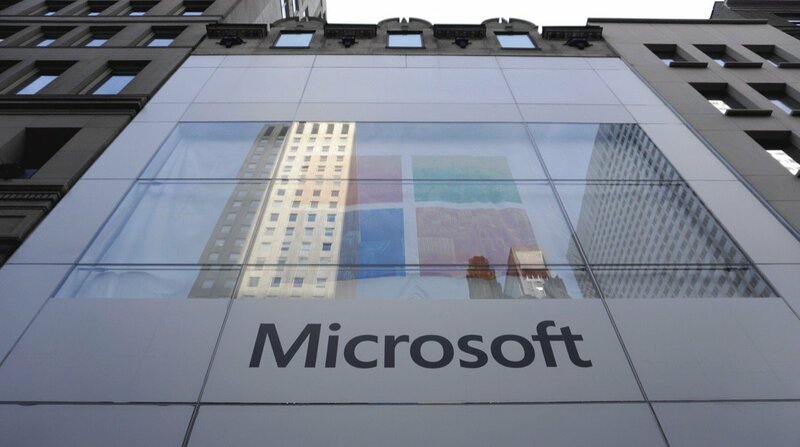 Microsoft said four large global financial institutions had already signed up to the service. “Working with our customers that wanted to start playing around with blockchain technology, the major pain point that we kept hearing from them was that it was just too hard to get started, and too expensive,” Microsoft’s director of tech strategy for financial services, Marley Gray, told Reuters on the sidelines of Ethereum’s “DevCon” conference in London. Gray described the platform as providing a “fail fast, fail cheap” model for firms: they can experiment with the cloud-based technology using templates provided by Microsoft without having to build their own systems. Gray said the technology would allow companies to create their own private blockchains, or so-called “smart contracts” that automatically execute the terms of an agreement, in 20 minutes, even with no prior experience. The Seattle-based company, under Chief Executive Satya Nadella, has been shifting its focus to cloud services as demand for the Windows operating system slows. Last month it reported an 8 percent increase in its cloud business for the first quarter. “We bet the entire farm on the cloud, pretty much,” said Gray.